It is summer, and many of us are on the road heading to our favorite seasonal haunts. On a recent trip, I found myself browsing in a Quickie Mart. I could not believe what was crammed into limited shelf or display space – everything from gifts, memorabilia, beverages, snacks, candy, first aid, and sandwiches – conveniently sized to fit on the shelf, in your hand or in the glove box of your car. 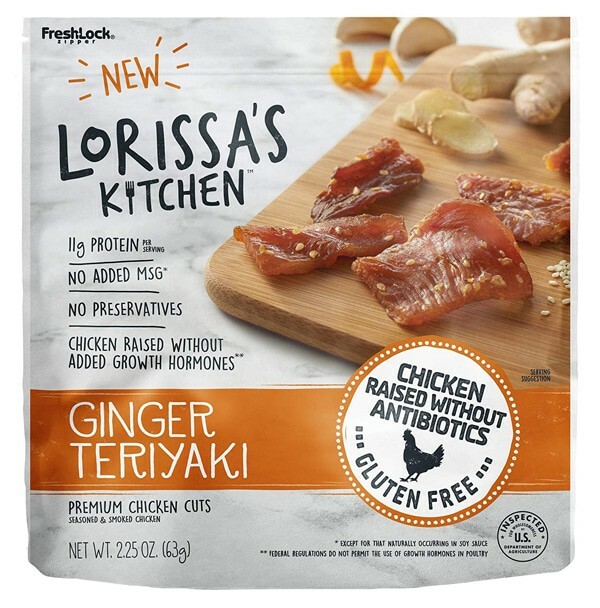 As I stared at the overwhelming variety of assorted products, I noticed Lorissa’s Kitchen meat snacks – cured, bite-size meat snacks in the highly competitive jerky segment. What attracted me was the uncluttered, clean white package design with a beautifully staged product photo featured predominantly on the face panel – effectively telling the product story by including the flavor additives while still focusing on the meat product. At first, I was going to walk away thinking this was just another form of jerky; however, when I reviewed the content, I began to understand that this brand was different than the typical over-processed jerky. Not only was it different, it also offered unusual flavors like Korean Barbeque seasoned beef and Ginger Teriyaki chicken – something I had not seen before. I read further through the package, which did an excellent job of informing me (the consumer) on product content and preparation, setting it apart from the highly processed jerky products that seemed geared more toward a male audience. 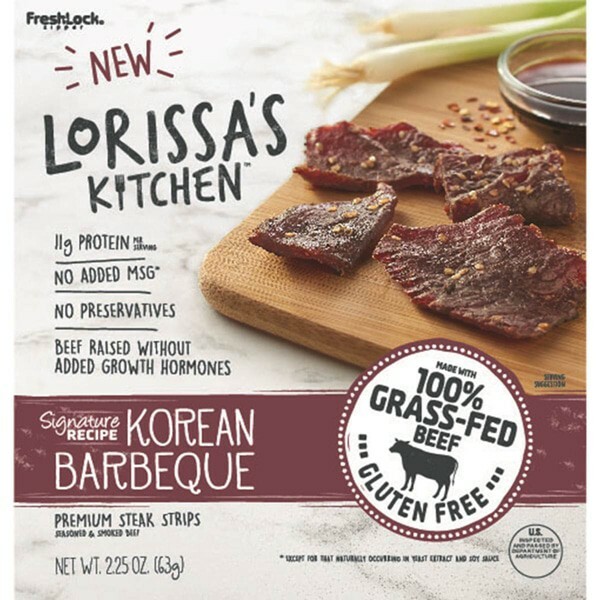 But trends indicate changes in the jerky or preserved meat snack category, adding flavorful, spicy and less masculine preparations like Lorissa’s Kitchen that appeal to a broader audience. Some people advocate that jerky is a protein-based product and therefore healthier than carbohydrate-based snacks – but that has been debated. 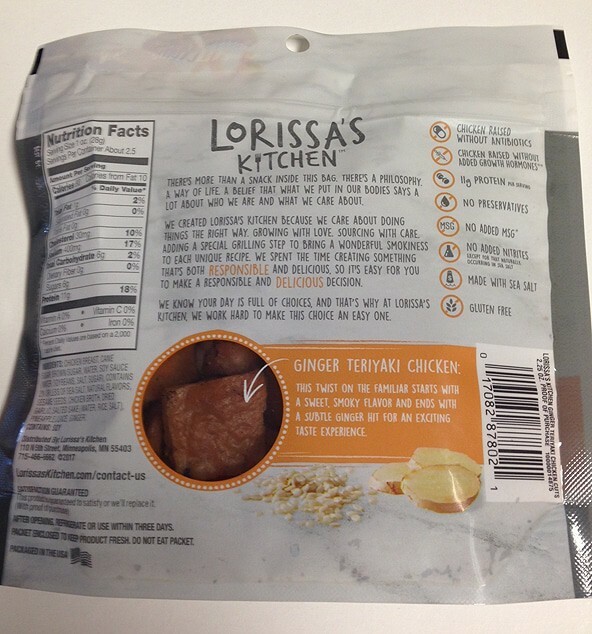 However, this is also where Lorissa’s deviates from the “pack” and establishes itself as a healthier alternative. The product claims on the front panel clearly and simply communicated a better-for-you approach to meat snacks. Examining the back panel, it became clear this product was designed with a focus on “non” – in the sense of what the product does not contain. The clever use of pictographic icons with accompanying copy made it clear what was included in the product, both to the reader and non-reader alike. The transparent window on the back panel also let consumers see the product. While the back panel is overcrowded, the use of the white in the package design keeps the copy highly legible in spite of being a casual font and in a soft grey color that is further softened by a white background. If I could change anything, I would retain on the back panel the same sparse, clean and direct appeal as the front or principal display panel, where the design quickly and effectively guides the consumer down and through key product features and copy. It is unclear where the consumer’s eye should focus first, so you tend to spend too much time searching through all the information. The design uses simple tools of color and photography to communicate the flavor and style varieties, helping the consumer make a responsible flavor choice. What is most effective is that Lorissa’s has dared to be different in telling their story. Unlike other brands in the category, this packaging isolates and quickly identifies the unique difference of their product and encourages the curious consumer to try it. When creating your packaging design in a competitive category, don’t be afraid to march to a different design drum to create impact and connection with the consumer. If you are thinking of exploring innovative packaging, contact us at 920-886-7727 or info@brand-directions.com Throughout our 60 plus years of supporting customers with consumer brands large and small, we apply our experience and expertise to the entire process to create efficient and effective solutions. 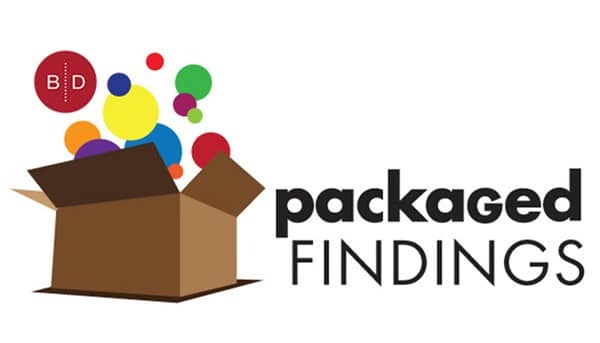 The purpose of our “findings” blog is to spotlight packaging that displays thinking that breaks the mold, delivers something new or chancy – or at the very least, highlights packaging that catches your eye in the retail environment.